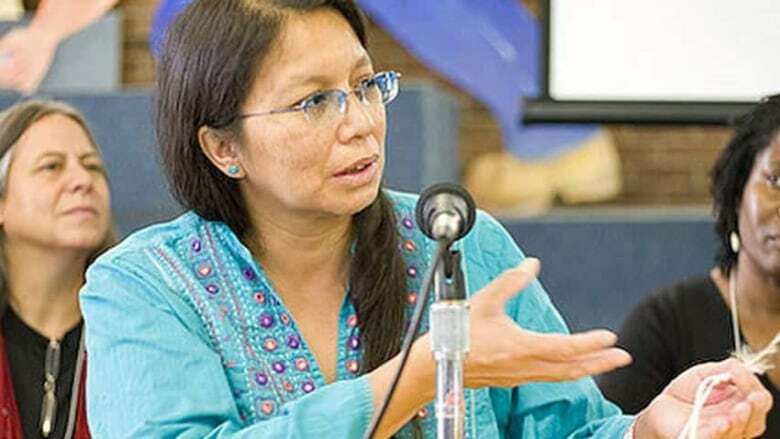 An environmental activist from Grassy Narrows First Nation in northwestern Ontario is heading to court Thursday in hopes of lifting a CN injunction she fears will prevent her from being near the tracks close by her community. An environmental activist from Grassy Narrows First Nation in northwestern Ontario is heading to court Thursday in hopes of lifting a CN injunction she fears will prevent her from future attempts to protect lakes and rivers from contamination. CN served Judy DaSilva with a court injunction on April 10 after she held a traditional Anishinaabe water ceremony near the tracks running through Grassy Narrows. A news release from the Grassy Narrows youth group earlier that week said "a rail blockade" and water ceremony was to take place on the tracks. But plans changed after DaSilva said she began receiving calls from CN officials. "The CN people were telling me I was going to cause people to lose jobs and cause companies to go bankrupt," DaSilva said. "But it was really just a simple space of time and cooperation with the CN I was asking for." The event, which lasted about 45 minutes, was held near the rail line beside a lake, she said, adding that no trains went by during that time. The internationally award-winning peace activist said the idea for the ceremony came to her after the CN derailment and spill at Gogama, Ont. on March 7 and was intended to keep the tracks safe and protect the nearby waterways. "I do feel intimidated by [the injunction] mainly because I feel like people misunderstand the main issue of this incident that happened," she said. "Because we all need water, we all need to drink the water." DaSilva said her activism is rooted in her experience of mercury contamination at Grassy Narrows. Grassy Narrows: Why is Japan still studying the mercury poisoning when Canada isn't? CN told CBC News it cannot comment on the injunction because it is before the court. DaSilva said she doesn't have a lawyer but will take a clan mother with her to court in Kenora, Ont. on Thursday when she'll ask CN to lift its injunction against her. She said she also hopes she can avoid paying court costs.